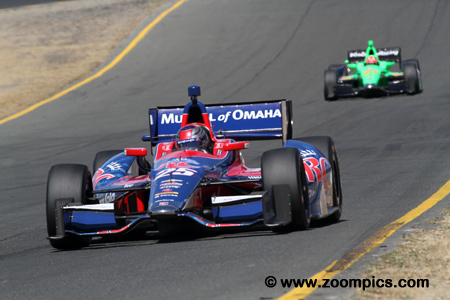 Round fifteen of the 2013 IndyCar series took place at Sonoma Raceway’s 2.303-miles road course. In sharp contrast to the previous season when fifteen drivers had a mathematical chance to win the title there were only three competitors with the prospect of winning the 2013 IndyCar Championship. Will Power qualified behind the two Target Chip Ganassi Racing entries of Dario Franchitti and Scott Dixon. The Team Penske driver went to the front during the final round of pit-stops when race leader Scott Dixon was penalized for driving infraction. Power would remain in first for the last sixteen laps and score his third win at Sonoma in the last four years. Before this victory, he had gone winless in twenty-five starts. The No. 19 Dale Coyne Racing Honda was driven by Justin Wilson. Wilson started from seventh on the grid and looked poised for a good result until he spun and stalled on lap-6 after being hit by E.J. Viso. Despite this setback, he did not lose a lap and worked his way through the field. At the checkered flag, Wilson finished second – 1.1930-seconds behind Power. 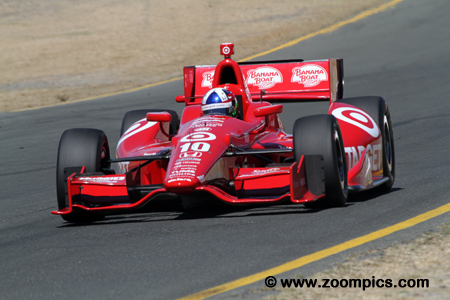 Starting from the pole-position was Target Chip Ganassi Racing driver Dario Franchitti. 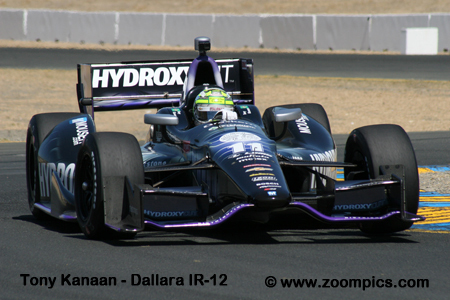 This was Franchitti’s fourth pole of 2013 and his third at Sonoma. 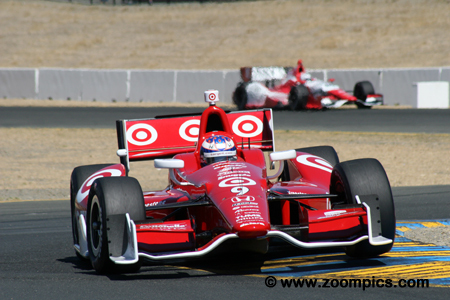 The Ganassi team entered Sonoma with four straight victories. However, none of these had come from Franchitti. He led the first seventeen laps and throughout the race remained in contention for the win. Franchitti was passed on the last restart by Justin Wilson and finished third. 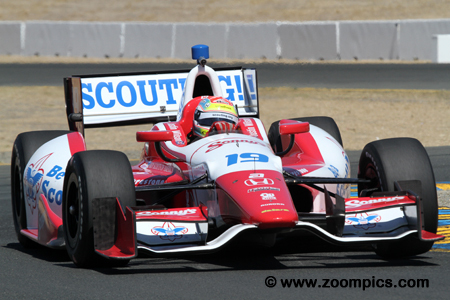 Qualifying next to his teammate, Franchitti, on the front row was Scott Dixon. 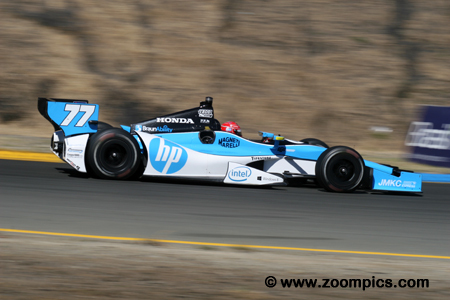 Dixon entered the Sonoma round second in the championship standings – he trailed Helio Castroneves by thirty-one points. 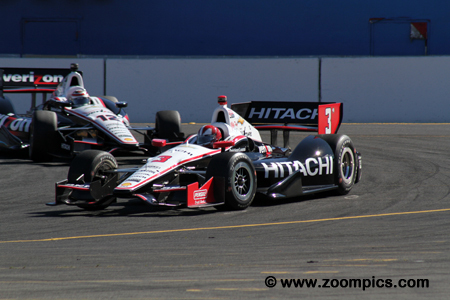 During the late stages of the race, Dixon battled with Will Power for the lead. Leaving the pits after the final stop he hit one of Power’s crew members (minor injuries) which resulted in a drive-through penalty and dropped him to twenty-first place– he worked his way back to fifteenth at the finish. Consistent finishes which included six top five results in the first fourteen events meant Marco Andretti was fourth in the title chase. 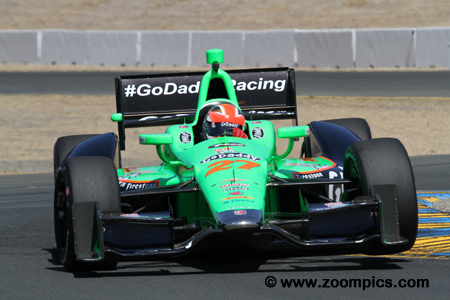 Andretti’s qualifying time earned him an eleventh place on the starting grid. During the event, he moved up the race order and again demonstrated his consistency by finishing fourth. 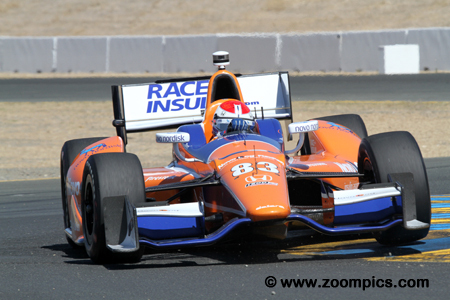 This result allowed Andretti to maintain his position in the point’s standings. Simon Pagenaud followed up the success of his 2012 rookie title with his first IndyCar series victory at the 2013 Detroit event. At Sonoma, he started from the tenth position and drove a solid race to finish fifth. Pagenaud left Sonoma still fourth in driver’s championship but reduced the gap on point’s leaders Castroneves, Dixon and Hunter-Reay. 2012 IndyCar champion, Ryan Hunter-Reay trailed Helio Castroneves and Scott Dixon in the chase for the title. Hunter-Reay qualified fourth splitting the Team Penske entries of Power and Castroneves. Early in the event he led for six-laps and eventually finished sixth. 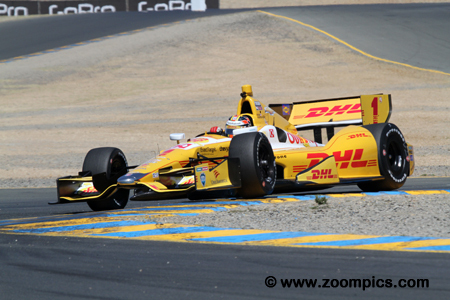 Hunter-Reay was still third in points but made up some ground on Dixon and Castroneves. James Hinchcliffe was having a good season – he and Scott Dixon were tied for the most wins at three apiece. Hinchcliffe’s performance during the season gave him a seventh in the driver’s standings. On lap-36 while contending for the lead, he was hit by Sebastian Saavedra and dropped down the race order when he pitted. At the checkered flag, he was eighth which dropped him to ninth in the standings. 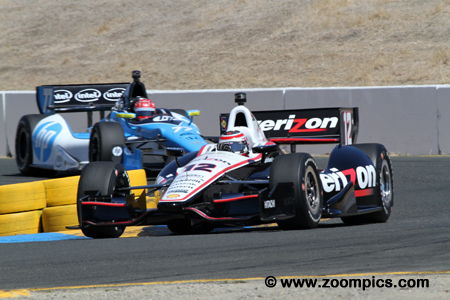 Leading the driver’s standings coming into the Sonoma event was Team Penske driver Helio Castroneves. Castroneves qualified fifth despite recovering from an injury acquired during a stock car event in his native Brazil. He suffered through a series of incidents during the race but managed to finish seventh and retain the points lead. Charlie Kimball was coming off his first win in the previous round at Mid-Ohio. Driving the NovoLog FlexPen Dallara IR-12, he started from sixth grid position. Kimball was hit by Castroneves on the first lap in corner two and stalled the car which brought out the race’s first full-course yellow. In the process, Kimball lost a lap and was unable to recover – he finished twentieth.